the experimental Turan 43M tank, built in 1 pc only on WWII. Color variations in Poses papus3d/Turan-43M directory. For gun fire animation you may use dial GunRecoil for recoil of gun, when gun moving back. For BreechLock Down and Up and BreechCtrl Rotate you may use BreechOpen dial on body. For the shell throw of gun, Bullet moving please use their Dials. files maybe you have already. On the first variant the Right 8. wheel Bend were set to 1, plese set to 0 or reinstall. Thank you so much, once again! Great tanks! Excellent work, many thank-yous especially for your attention to detail, & multiple variants as a bonus !!!!!! Wow! Nice new collection of Hungarian armor Papus. Your work is always a notch above. 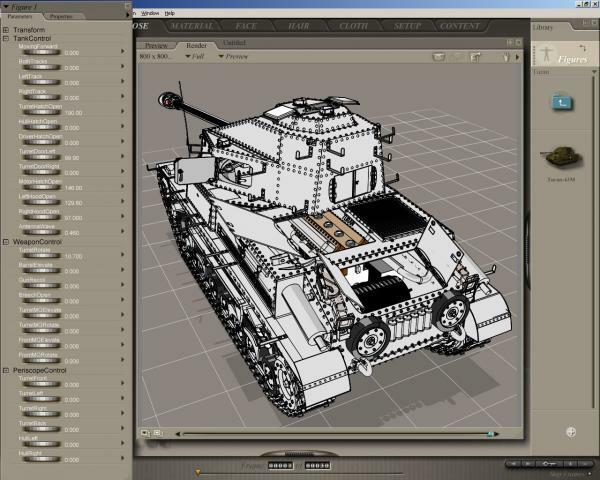 As always a great tank model for my 3D armies, keep up the good work. Outstanding model thanks for sharing it.